Several months ago, when I was on a cake baking spree, my family back home really wondered if all these cakes were my creations. I really don’t blame them for doubting my skills because before I got married I wouldn’t enter the kitchen let alone hold a knife. Baking was of course, nowhere in my skills list. So this time when I was in India, I baked a few cakes and the following was one of them. Everybody loved this, considering it’s not available in bakeries in India. This was proof enough for all those who took a slice....I had to bake 3 more of these loaves!! Sift the flour, baking soda, and salt into a medium bowl, set aside. Whisk the eggs and vanilla together in a liquid measuring cup, set aside. Lightly butter a 9 by 5 by 3-inch loaf pan . Preheat the oven to 350 degrees F.
the butter and sugar until light and fluffy using a hand-held or stand up mixer. Gradually pour the egg mixture into the butter while mixing until incorporated. Add the bananas (the mixture will appear to be curdled, so don't worry), and remove the bowl from the mixer. With a rubber spatula, mix in the flour mixture until just incorporated. Fold in the nuts and transfer the batter to the prepared pan. Bake for 55 minutes or until a toothpick inserted into the center of the loaf comes out clean. Cool the loaf in the pan for 5 minutes and then let cool completely on a wire rack. Wrap in plastic wrap. Tastes best when served the next day. This is a great way to use up over ripened bananas. 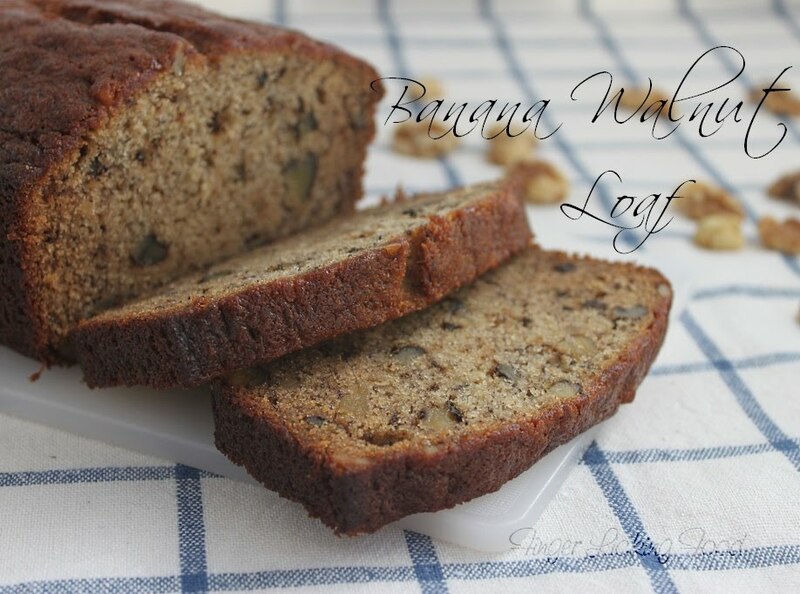 The combination of bananas and walnuts is sure to have you licking your fingers and it makes a very moist cake. The bread looks good with the nuts! Definetly unusual bread from Indian bakery! 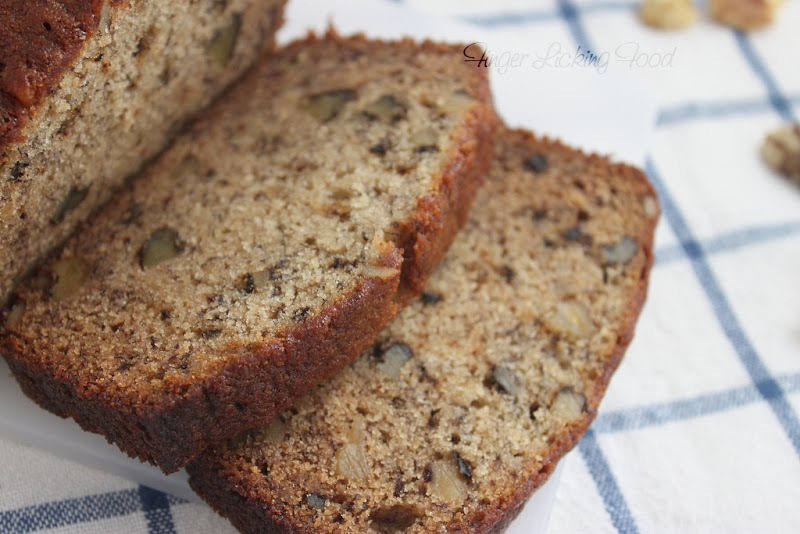 I love banana bread and these look su yummy with the nuts. Yeah i was also like you before getting married didn't do anything at all in the kithcen. Only thing i made in my moms kitchen was making omlette once or twice. Thanks Happy...hehe atleast you made an occasional omlette :D I hadn't done even that! hey banana nut bread... 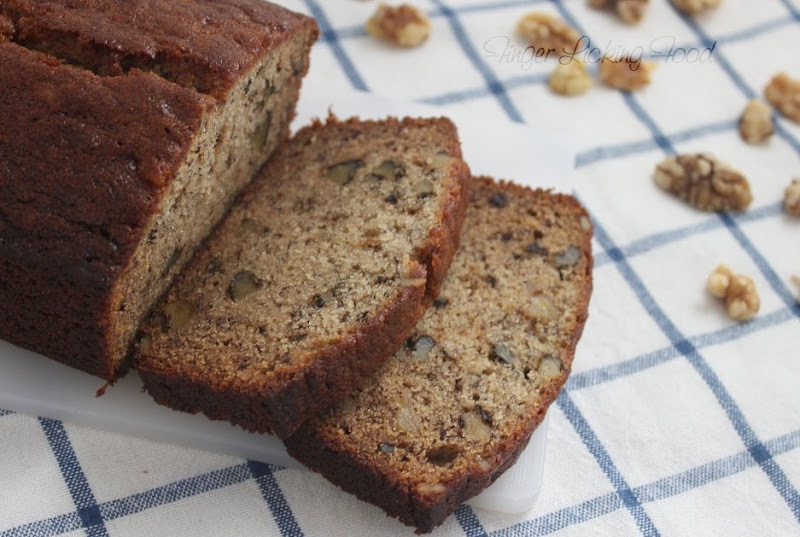 I just posted my banana walnut bread as well, after the muffin... :) Great bakers do think alike.. I love how soft this looks! The recipe seems to be full of flavor. I tried something else with this - added pinch of cinnamon on it. It just turned out great.